Recently I've been thinking that I'd like to get back to the place I was before all of this started happening, back to where I was near the beginning of the year where I found a way to love myself and let myself be joyful. 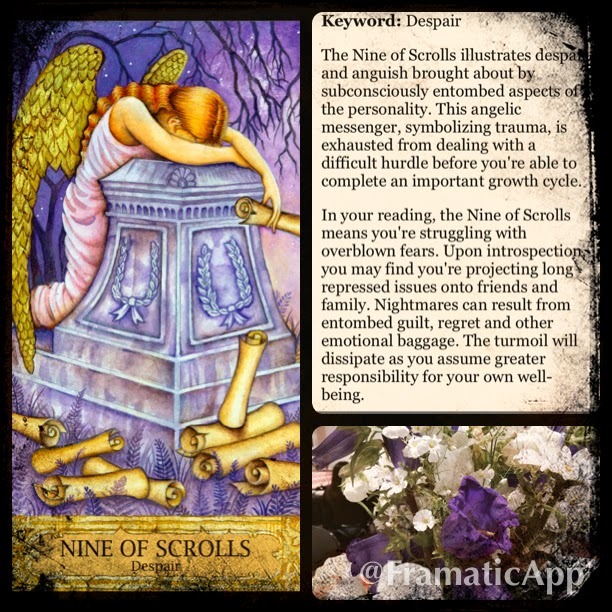 I like the confirmation this card gives and the description that comes with it in the app that says, "The turmoil will dissipate as you assume greater responsibility for your own well being." I've been working on that, and will look forward to feeling more peaceful soon. Hi (((Siddaleah))) I hope this deck will give you some of the encouragement and the care you need so much right now. I know it is hard but all you can do is take it one step at the time and be kind to yourself when you're not progressing fast enough. I love the saying: "I will only go as fast as the slowest part of me feel safe to go"
Thank you, Bridgett. I didn't see this message until today, and it brought sweet tears to my eyes.